I decided to roughly cut a ‘Shiva Linga’ in two in order to make a somewhat humorous statement regarding the relationship between the masculine and the feminine. 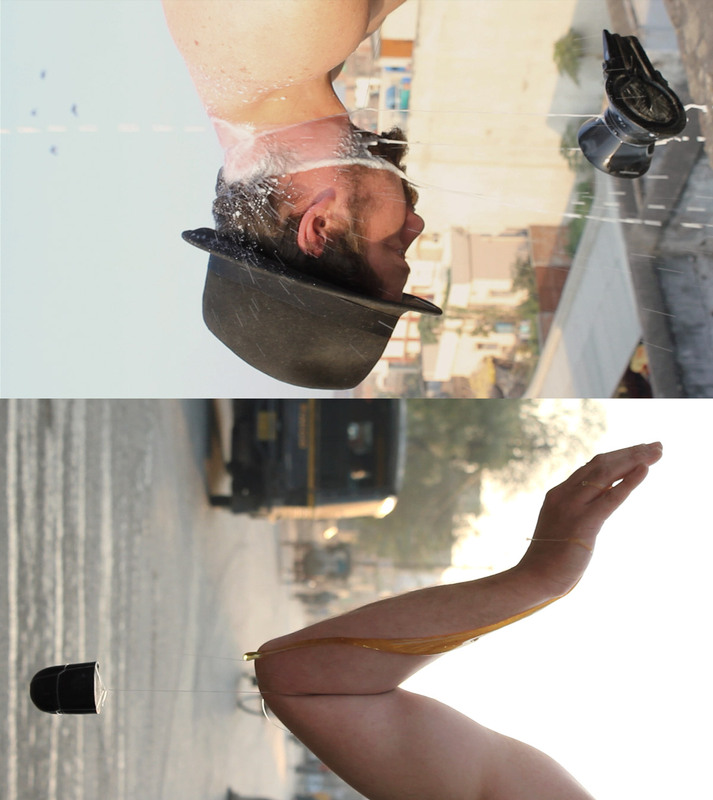 The two separate sections of the sculpture (the ‘linga’ and the ‘yoni’) are hung from my body using fishing line. This creates a sculptural form through which the activity on the streets of the city of Gaya is re-framed. The sharp incision that the fishing line produces on the body recalls the act of cutting the stone Shiva Linga in two: the line around the male neck resembles that of decapitation whereas that on the arm creates an almost yoni-like shape. Finally, honey and milk is poured onto the head and arm respectively. 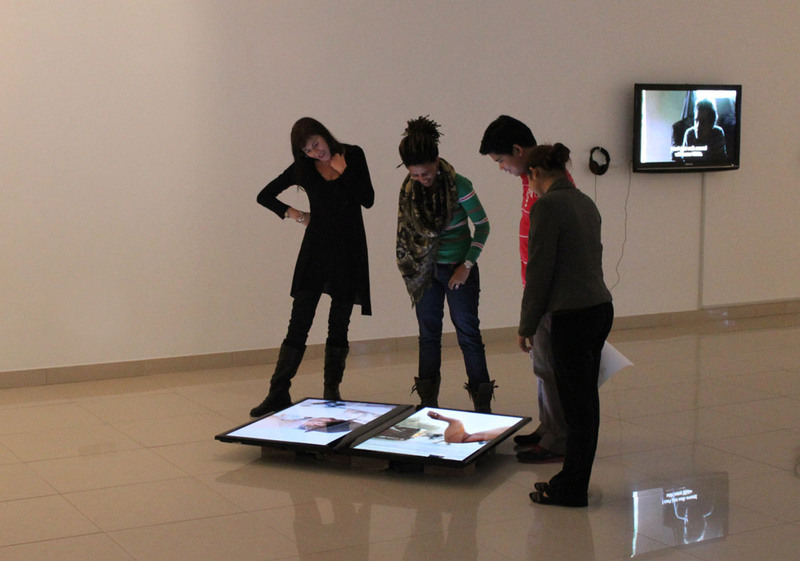 The work is displayed as a two-channel video on plasma screens lying flat on the floor. The force of gravity, so readily apparent in the flow of the liquids and the hanging forms, thus seem to draw the shapes and their symbolic meanings closer to one another. 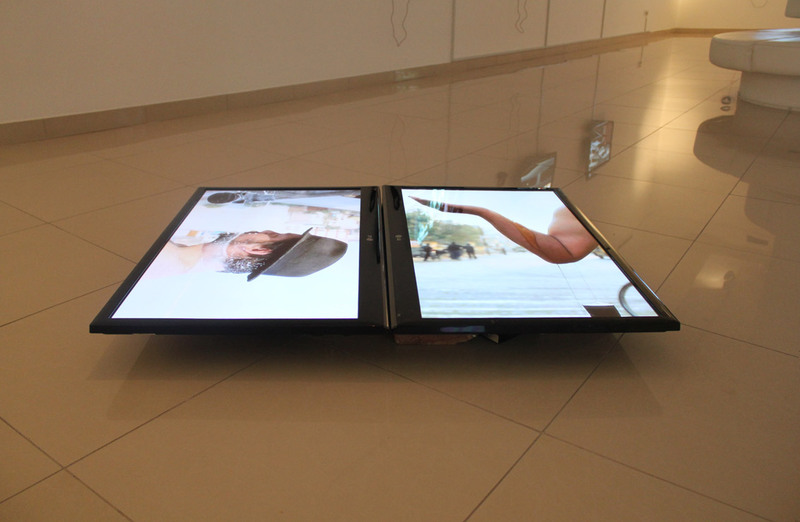 Moreover, the viewer is forced to walk around the screens in order to view the work, thus adding a decidedly sculptural element to the piece.